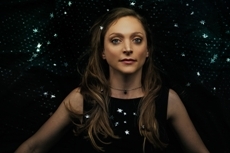 Eilen Jewell has become a KSUT core artist due to the energy of her live shows and the stunning series of albums she's released ever since her debut back in 2005. She's a unique singer, capable of belting out a blues classic, rockabilly rave-up, country weeper, or sultry jazz standard. A versatile songwriter in her own right, most of her records are chock full of Jewell's introspective takes on Western life. Her touring band is a classic rockabilly lineup of electric guitar, upright bass, drums and herown acoustic guitar. Tickets cost $32 in advance (which includes a $2 per ticket service charge to offset credit card and web hosting fees) and $35 at the door, and can be purchased here. Unsold tickets will be available at the door on the night of the show. Due to limited seating, there are no price discounts for children. All seats are general admission.